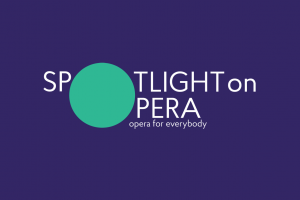 SHREVEPORT, LA — Spotlight on Opera, a professional development program for aspiring opera singers, will hold its 13th annual summer season at Centenary’s Hurley School of Music from June 23 through July 30, 2019. Centenary is hosting the prestigious program for the second year under the direction of Spotlight founder and executive director Cindy Sadler, Artist-in-Residence at the Hurley School. This year, Spotlight will also offer four full tuition and housing scholarships exclusively to current, incoming, and recently graduated Centenary students. The Spotlight on Opera summer program focuses on artistic entrepreneurship and professional development for singers at all stages of their careers, both those who are working toward professional careers in opera and those who want to sing for fun and personal enrichment. The intensive program includes classes in the business of singing, finances, acting, movement, mental preparedness and performance psychology, and social media as well as master classes with prominent practitioners in the opera world. Participants have the opportunity to perform in scenes, concerts, and full opera productions during the course of the program. Performance offerings during the 2019 Spotlight on Opera summer season include staged productions and concerts. This year’s mainstage productions are Mozart’s Così fan tutte, a comedy about the battle of the sexes which will be presented in English, and Menotti’s The Consul, a very timely story about what happens to families caught in the struggles between governments and in red tape. The children’s opera is John Davies’ pastiche, The Bremen Town Musicians, in which a rooster, donkey, dog, and cat learn that friendship and cooperation can help overcome many difficulties. In addition, there will be an Opera Scenes Showcase, Spotlight Cabaret, and several concerts. Sadler founded Spotlight on Opera in 2007 as a one-week summer program at St. Edward’s University in Austin, Texas. It has since grown into an independent non-profit organization, attracting students from all over the United States and foreign nations such as Canada, Taiwan, and Kenya. Spotlight alumni go on to distinguished programs and performing careers. Tenor Zachary Thomas Newman (2015, 2018) has recently been appointed director of the Longhorn Singers at the University of Texas in Austin. Soprano Elizabeth Herlitz Cortes (2016) recently created the role of The Maiden in Joseph Julian Gonzalez’ Sueños de Béjar at San Antonio Opera, and is the founder and general manager of Texas Concert Opera Collective. Soprano Sarah Tucker (2008) is signed with ADA Artists Management in New York City, and has recently appeared with Utah Opera and San Francisco Opera. Tenor Nicholas Simpson, now Spotlight faculty, is on the roster of Neil Funkhauser in New York and is currently on a world tour of Carmen on the Azmara Quest cruise ship. Live auditions for the 2019 program will be held January 20, February 2, and March 17 at Centenary and February 23, March 9, and April 13 in Austin, Texas. Video auditions will also be accepted until all roles are cast. Applicants should visit SpotlightOnOpera.com for more information and to apply online. More information is available at SpotlightOnOpera.com or by contacting Cindy Sadler at csadler@centenary.edu.